It is a Power Converter/Dual Output Power Supply Module, Input Voltage: 4.8~40VDC, Output Voltage.. 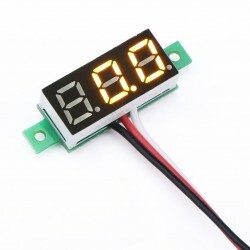 It is a Voltmeter/Digital Voltage Meter/Panel Meter/Tester, Measuring Voltage Range: DC 0 ~100V (..
DKP6012 DC-DC numerial control buck voltage converter is a programmable buck module with all-digital LED display which can display real-time voltage and current. 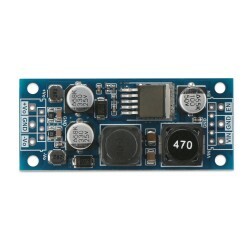 Compared to similar product, you will find that this buck module has a compact size and it works efficiently and stably. We applied advanced microprocessor control for this buck module. Voltage and current can be adjusted accurately by pressing button, you can adjust it to output constant voltage and current. If you want a secondary development on this item, please connect the reserved port to single chip microcomputer or computer comunication. You can also check working status by checking the indicator. This voltage regulator will output automatically once you power it, you can turn on or off this function as your need. You can also lock the key to prevent any wrong adjustment by accident.